Buried: Unknown Probably Abilene or Cisco TX, Reward for finding it! Nunleys and Carpenters of Tishomingo County, MS.
Where is Thomas Burris Buried? 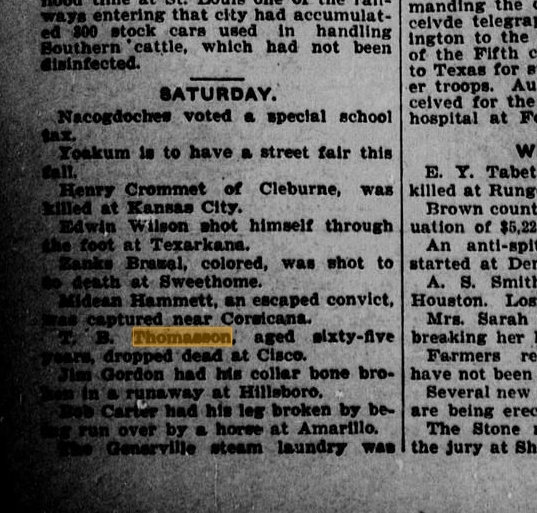 TB's Death certificate says he died in Cisco TX (Eastland county) on 23 Jul 1903. The place of burial is not given. The family is in Taylor county in 1900, and his widow is in Jones county in 1910. His widow Mollie was buried at the Abilene cemetery in Taylor county 40+ years later. 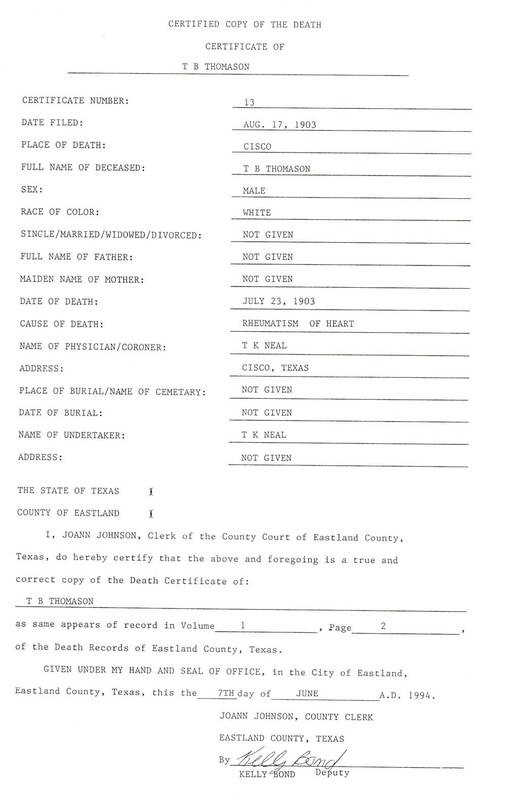 His youngest daughter Rosa was born 9 months after his death but no birth certificate exists in Taylor, Jones, Eastland, or Callahan counties. Roland Woods, son of Rosa, says that TB is buried at the large Cisco Oakwood Cemetery but that the records were burnt, and the headstone is lost. Randy and I went to Oakwood in Nov 2007 and spoke to Bennie Neal, keeper of the records. She let us see them - Picture. Here is the TH section. 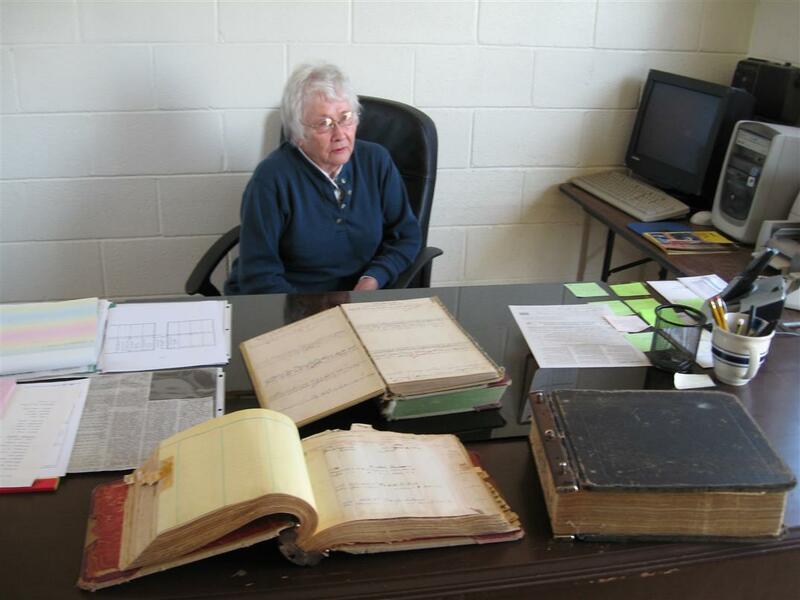 She did not know of any records that were burnt, but several years ago Randy visited with a man at the museum in Cisco who described a cemetery book that was burnt on the edges. We have been unable to find out who this was and to confirm the story of the book. Where is Thomas Burris' Leg? Thomas lost his leg in the civil war (17th MS), applied for a wooden leg, and received one. Apparently this leg was kept by Mollie after his death. Leonard W. Arrick said that when he was a kid, he found the leg at Mollie's house in a closet and got in trouble for playing with it. It was the only time he had seen her get mad. Derriel says that when he was a kid (mid 1950's) he saw what he thinks might have been this wooden leg at a relative's house on a dirt road. 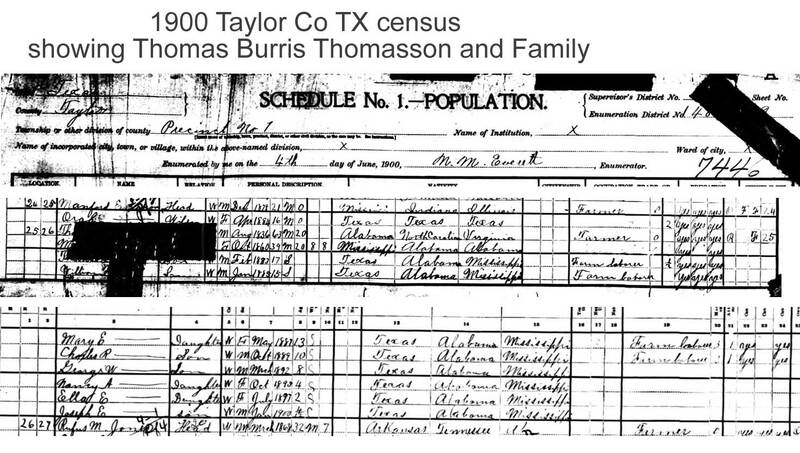 Thomas Burris and family were very difficult to find in the 1900 census. After reading the pension apps for 1899 which stated they lived in Taylor Co, I started searching for every possible naming error. Eventually I quit searching on names and searched for someone born in 1936 in Alabama in Taylor Co. 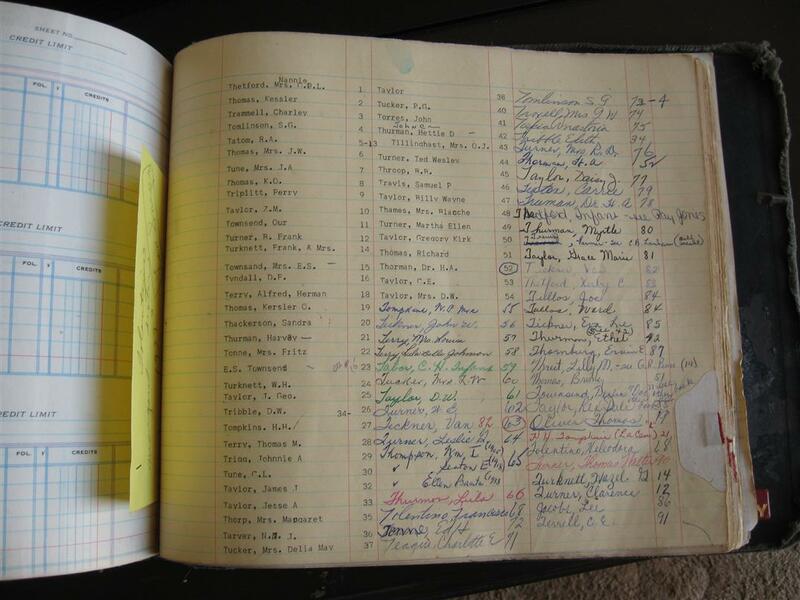 The census has a rip fixed by tape which obsures the last name for the entire family. Only "Th" is shown for Thomas and only "M" for Mollie. 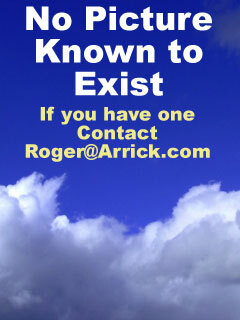 The birthdates and birth places match along with the kids. This is, without a doubt, the family of Thomas Burris Thomasson. All the kids are born in TX, Mollie born in AL. 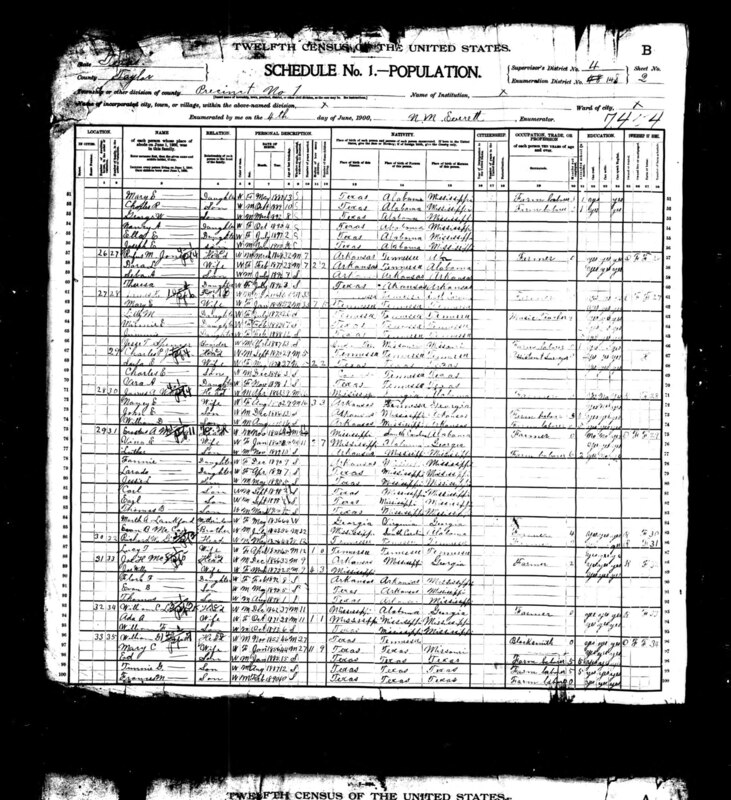 Here's Mollie in the Taylor County Abilene 1920 census with some of the kids. They are 2 doors down from Leonard L Arrick and Ellie! Mallie Brown 8 <--- ??? 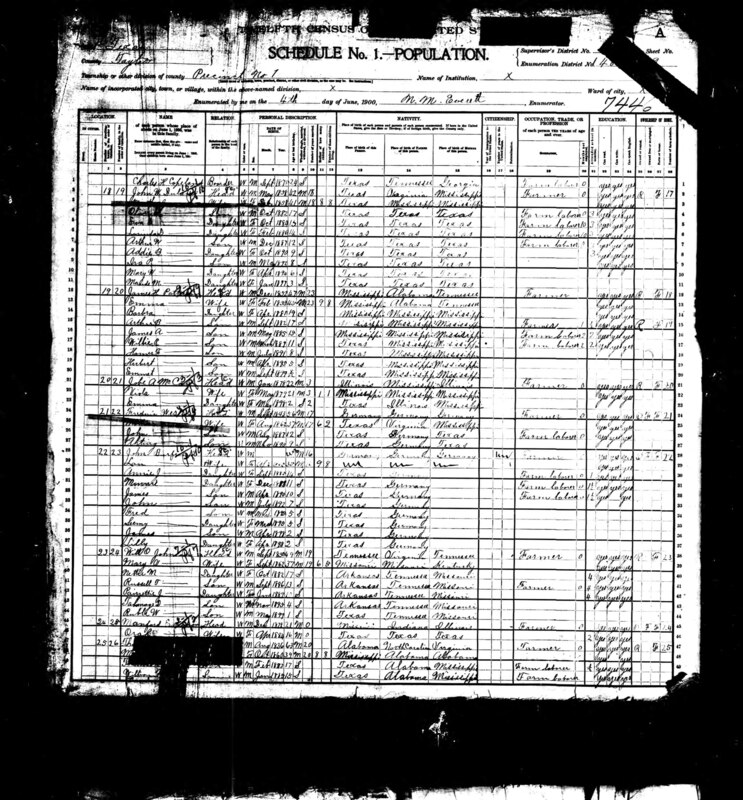 In the 1930 census, Frank and family, and Charlie and family are living right next to each other along with Mollie in Taylor Co Pct 1.